Volunteer as a Mentor for STEM Goes RED! STEM Goes Red is a day-long event dedicated to inspiring local 9th grade girls to pursue careers in STEM fields, where they can work to lay the foundations to improve women’s heart and brain health. STEM Goes Red is part of the American Heart Association’s Go Red For Women campaign advocating for women's cardiac health education, research, awareness, and equality. As cardiovascular disease continues to be the number one killer of women, ensuring more women are at the forefront of developing science, technology, education and math (STEM) solutions has never been more imperative. STEM is our future and as a science-based health nonprofit, STEM is at the heart of who we are and what we do. 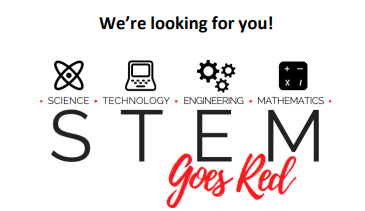 As a STEM Goes Red Mentor, you can be a part of the solution. Mentorship provides young women access to STEM professionals outside of their personal networks and opens their eyes to education and careers they may not have previously known about or considered. Mentors will be paired with a small group of participants (5-8 girls) and will remain with their group throughout the course of the day. It is our hope that this structure will allow for more meaningful interactions among female mentors and students. Guided activities will be provided for the two Mentor/Mentee Sessions and Mentors will serve as their group’s guide and primary support for the rest of the day’s activities. 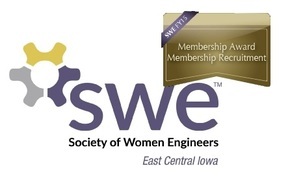 For more information, please contact Katelyn Lichte (ECI-k12.outreach@swe.org). If interested, please RSVP below and Katelyn will send you the mentor form to fill out.